Liverpool’s end to the season has been marked not only by a stunning front line, but also by a huge upturn in fortunes in defence. 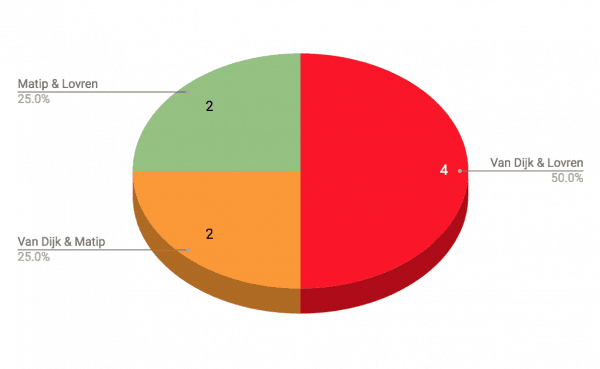 The Reds’ potent attacking style of play is, by this point, not a secret. The trident of Sadio Mane, Roberto Firmino and Mohamed Salah strike fear into defenders and the team as a whole, when fit and near full-strength, is incredibly difficult to stop. But that has been the case all season, and only lapses at the opposite end of the pitch earlier in the campaign stopped 2017/18 perhaps being even more impressive than it has been. Jurgen Klopp, to his credit, has managed to fix those issues of late; at last the Reds look as though they could have a defensive line to stand in unison with those in attack. 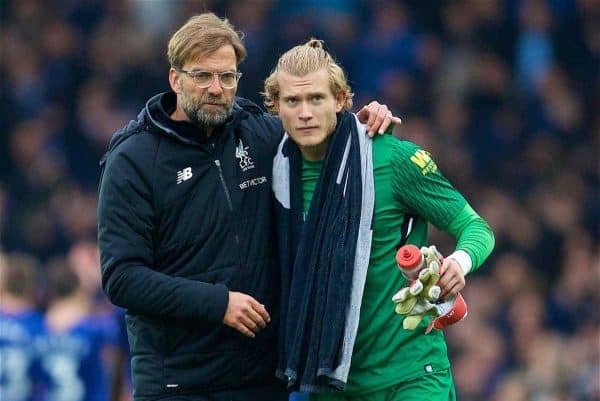 Tremendous acclaim has to go to Loris Karius. The German goalkeeper had been written off in many quarters, despite improved—though sporadic—displays in Europe this season. When Klopp deigned to reinstall his compatriot as the club’s No. 1 at the turn of the year, some fumed. Others merely insisted it was a stop-gap to the end of the campaign. And perhaps it might have been—but Karius has, without question, earned the right to remain between the sticks beyond the summer and to stake a much longer claim to the position. His upturn in fortunes is down to several factors, including a much-needed stable defensive line in front of him, but it’s also important to note Karius’ own improvement. Karius has, in turn, shown several vital facets of a top-level ‘keeper’s game. His shot-stopping, highlighted at the weekend with a spectacular save to deny Yannick Bolasie, has been impressive. But even more so has been his calm authority in dealing with aerial balls, his decision-making in coming off his line and is ever-improving distribution. With him in net, Liverpool have kept eight clean sheets in the last 12 matches across all competitions. It’s worth noting that while he might not face a huge volume of efforts on target—applause there to his defence for their own improvement—several of his saves have been of paramount importance, such as against Son Heung-min, Mohamed Diame and indeed Bolasie. Across the entire campaign, Karius has posted shut-outs in half his Premier League matches and two-thirds of his Champions League games. Since late February he has conceded goals only to Marcus Rashford—when left horribly exposed—and, from the penalty spot, Luka Milivojevic. The improvement has been tangible, immediate and imperative. As alluded to earlier, a stable defensive line is a vital part of any successful team’s shape. 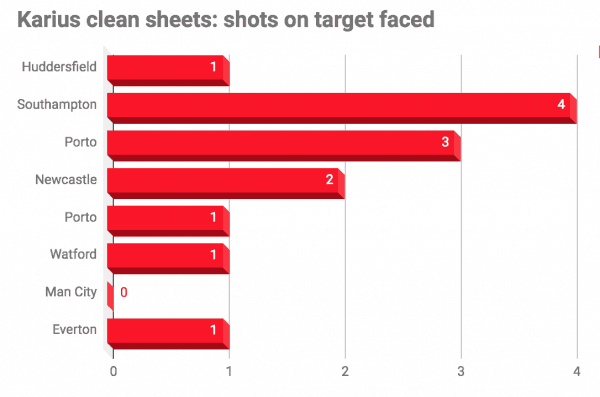 Earlier this season, the Reds were troubled by constant absences in the centre of defence. With Nathaniel Clyne a long-term absentee on the right meaning regular rotations for the two youngsters, it was an ever-shifting dynamic trying to keep opponents at bay. With no real leader among them, no assured protector in front and little consistency behind, it’s no wonder the defence suffered. Karius’ emergence, along with that of Andy Robertson, has changed much. 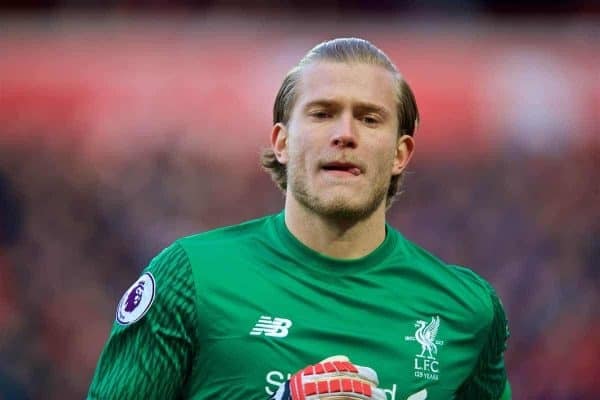 Liverpool have needed both a solid goalkeeper and a left-back capable of playing in both halves of the pitch with consistency for a long time; now they appear to have both. To his credit, Alberto Moreno had quite clearly improved earlier in the season and left-back was his by right; opportunism and self-improvement mean the same absolutely applies now to the Scotsman. 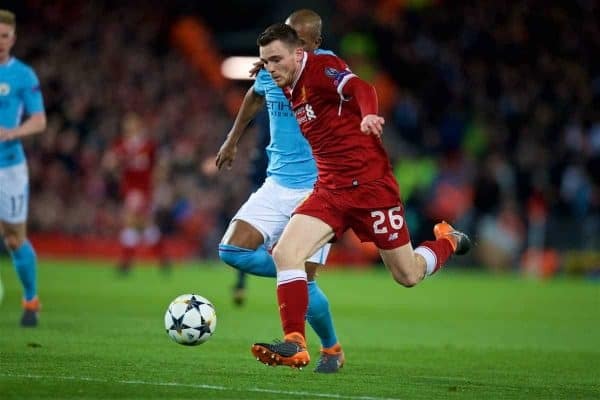 It’s often suggested that Firmino sets the tempo for defending from the front with his work rate and closing down—now, too, so does Robertson. His infectious energy and determination are mirrored by his team-mates, and the fans respond too. This is all part of the synergy of a football team all areas feeding all other areas in turn, and rarely more vividly on show has it been than at Anfield last week against Man City. 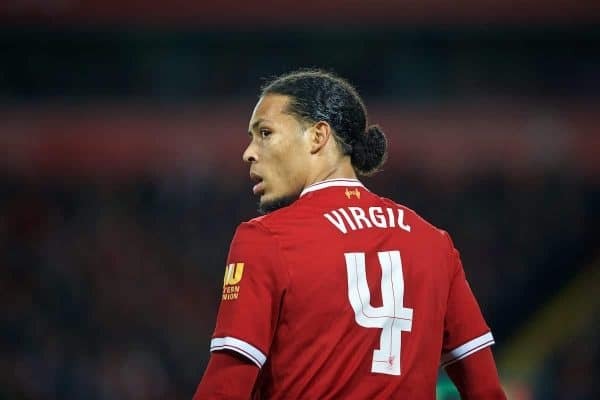 Of course, one final factor remains to be considered regarding Liverpool’s vastly improved defensive performances: club record signing Virgil van Dijk. On the evidence of the first two-and-a-half months at the club, he’s worth every penny of the £75 million fee paid for him. 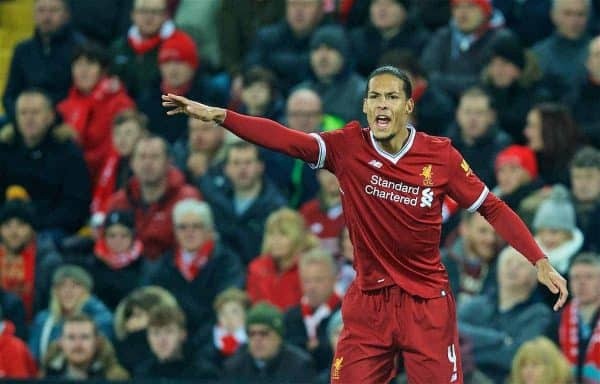 Van Dijk has many qualities: aerial dominance, compose on the ball, excellent reading of the game and tremendous power in one-on-one scenarios. But perhaps most important of all to this Reds team is his ability to organise, to instruct. The attribute is not an abstract one, not an intangible. Not here, at least. 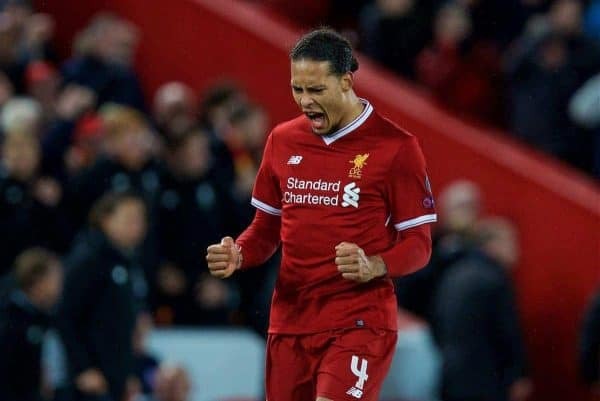 Van Dijk’s influence can be seen in every game, in almost every attack the opposition makes and certainly at the end of it, as he encourages and applauds his team-mates’ efforts. 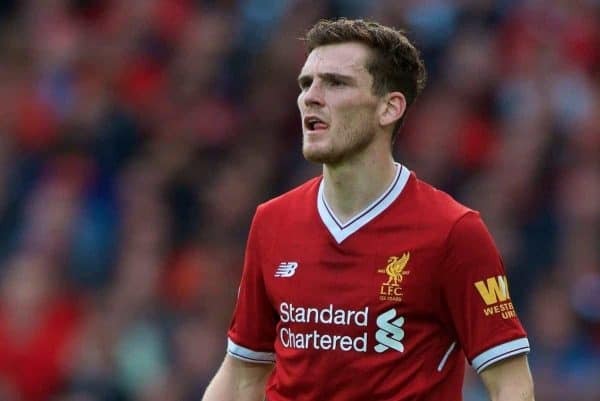 He has become the orchestrator of the back line, naturally and immediately, and his presence alone makes the Reds a better team even before his actual defensive acumen plays a part. The most obvious evidence comes in the upturn in fortunes of those beside him: Van Dijk has forced his partners to be better, even when he isn’t playing—it’s not just with the Dutchman on the pitch that the clean sheets have continued. Competition for places is supposed to do exactly that: force each player to up their own levels, of consistency as well as quality, and in turn make the team better overall. At left- and right-back that has most assuredly been the case this term; Van Dijk’s arrival has helped the centre benefit in the same way. He’s a monstrous performer, a genuine elite talent, and with Van Dijk directing from the back Liverpool are in a great place to continue their phenomenal improvement in both halves of the pitch under Klopp. Not all captains wear armbands, but all leaders lead.